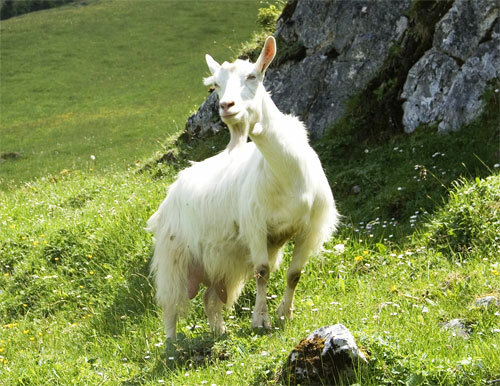 Distribution: The Appenzell Goat is found above all in both cantons Appenzell and St. Gallen (Toggenburg). In canton Zurich only the Zurich Goat is bred (today only very little!). It is a cross between the Appenzell and the Saanen. Characteristics: In milk production the Appenzell Goat is on par with the other breeds: during lactation between 700 and 800 kg, fat 2.9%, protein 2,7%, lactation duration 270 days. As is generally known, milk production is heavily influenced by care. The number of herd book animals is around 800; the stock is slowly increasing again. This breed was very heavily affected by the CAE-Virus, so that extensive restoration had to be done. Today the breed is essentially CAE-free.